One thing that can definitely be said about people living in the Midwest is that we love our four distinct seasons here. Oh sure, weather often spills over into a season where it doesn’t belong. We get snowstorms in spring and heat waves in fall. But overall, seasons in the Midwest know their place. And if there’s one thing Midwesterners love to talk about, it’s the weather! Summer has never been my favorite season, but I do like the more laid back feel it seems to have. I love the “school’s out for summer” feeling, even when I’m not in school anymore. I love opening up my windows at night. I love having my kids around more. I love taking long walks with hubby and the dogs, except for when it’s too darn hot for us to venture out. I love jumping in the car and taking mini-trips to who knows where and remembering long ones my family and I used to take years ago. Some summers we traveled to the west coast to visit relatives stopping at various national parks along the way. Each and every summer without fail we made the shorter trek to North Dakota to visit the grandparents. My parents, my three siblings, our family dachshund and I made those trips in a Ford sedan with no air conditioning and certainly no DVD player. And you know who always sat in the middle of the back seat. Always. The pecking order back then was very well established and despite my frequent complaints, the seating assignments never changed. Ever. Was it hot, uncomfortable and even downright miserable at times? Yes! But back then, that was our normal. Now summer also represents chemo season for me. 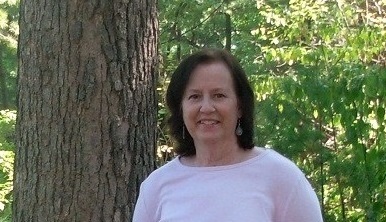 Two summers ago about mid-July I began chemotherapy. I felt like a witness forced to sit in a chair and testify under duress. I cooperated and showed up to take my place in a different sort of chair on infusion days only because everyone (including myself) told me I had to. That was the summer that wasn’t. Last summer I was still pretty fresh out of the cancer gate and definitely still more than a bit wobbly as hubby and I started trying to figure out this “new normal” thing because that’s what we were told we must do. Last summer was, but still wasn’t, if that makes any sense. This summer feels a bit more ordinary, dare I say it, a bit more normal. Normal things are happening again. Things that are supposed to be happening are. Daughter got married and I was there to see it. I’ve had some readers with young children say to me they hope to live long enough to see their children grow up and get married. Hearing that breaks my heart and makes me count my blessings. This summer son #one traveled abroad to visit his girlfriend without his mom and dad along to offer advice and guidance, though we did offer quite a bit before he left the country I must admit. We did not communicate much at all for two whole weeks and things went fine for everyone. This summer hubby and I will hop in the car and take a few more of those road trips to where ever just because we can. We will celebrate the 85th birthday of a certain special grandmother. We’ll be pet sitting three lovable four-legged critters from Fargo, the “boys” as we like to call them. (Yes, for two weeks we will have six animals living under our roof). I’ll be relaxing as often as I can on my deck with a good book in my hands. (I know this is yet another cancer book, but this is an example of some of my “new normal” reading material now. And by the way, I highly recommend this one if you haven’t read it yet). I’ll dig around in my flower gardens and ask myself again why I didn’t pay more attention to my grandmother’s and mother’s advice all those years. The Fourth of July will find us hanging up our flag, grilling some burgers and “dogs,” watching a boat parade on our little lake, continuing the tradition we started a few years ago of watching and pretending to by frightened by the classic old movie Jaws, watching some fireworks and of course eating some ice cream! What else will this summer bring? But I plan to enjoy it as much as possible as it slowly unfolds. I intend to savor bits and pieces of normal. And that will feel pretty darn nice. Do you have special summer memories or traditions? How do you feel about the expectation to find your “new normal” and have you “found” it? You’ve painted a wonderful loving history of family summers, and I’m a bit envious. My family rarely took summer vacations, but I made up for that as an adult, especially making summer memories with James. I haven’t found my new normal without him, yet. There are many places I’d like to go, but no one to go with me, and that’s sad. I now understand why cruise ships are full of older widows. While that’s not for me, I’m happy they’ve found a new normal for them. Brenda, I’m glad you have so many wonderful memories of James to cherish. Those cruise ship trips you mention don’t sound very appealing to me either, but to each their own I guess, right? Thanks so much for commenting, Brenda. Yay, Nancy. I’m so happy you’re finding bits of “normal” life coming your way. Strange isn’t it? Just when we think cancer is all we’re about, it kind of, sort of, every once in a while, takes a back seat. I’m glad you’re going to enjoy your summer. Thanks for making me smile with this post. I too, had to endure the middle of a back seat (floor hump) between my older brothers, in a car without air conditioning. I guess if we can survive that! If your travels ever take you anywhere near New York City, you better tell me! Love to you, my Midwestern friend. Stacey, Your comment made me smile! And I forgot about the dreadful back seat hump! Yes, I remember that well too! Despite our crowded traveling conditions, I still managed to have a good time, on most trips anyway. I will definitely let you know if I get to your area in the future. Love back to you, Stacey. Enjoy the rest of your summer and thanks for your comment. Love this post, Nancy. Bits and pieces of normal is the stuff of dreams of while sitting in that chemo chair. Enjoy the summer and all its normality. It’s certainly a gift. 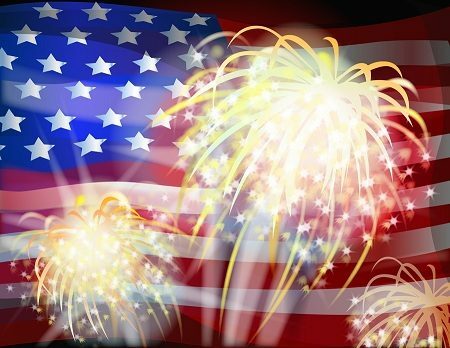 And Happy upcoming July 4th! Catherine, Right you are! That’s why we sat in the chemo chair isn’t it? You enjoy your summer too and thanks for the good wishes. I love this posting, and this has me reminiscing about the “normal” family activities that became like rituals. Your children are beautiful, and you must be so proud of their accomplishments. I have that book on my shelf in my queue. (Reading The Hunger Games trilogy first.) 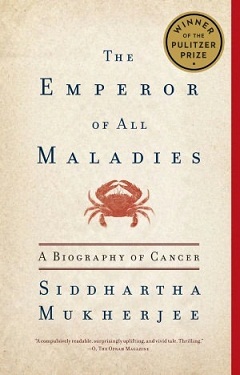 Can’t wait to start reading The Emperor of All Maladies. My favorite season is spring because the days start getting longer, with a promise of good weather (hopefully) to come. Beth, I’m glad you liked the post. “Normal” family activities do often evolve into treasured memories later on don’t they? Sometimes we don’t even realize how much we enjoyed them until later on. Just think of all the rituals and memories you are creating right now for your precious daughter. Did you see the “Hunger Games” movie? I did and thought it was pretty good, but I haven’t read any of the books. “Maladies” is quite good. Spring is probably my least favorite season, but mainly because of cancer…Thanks so much for your comment and you have a great Fourth too! You have such a way with words! Took me back to my childhood, which was largely spent in the car – the middle of the back seat! I love all the seasons for many different reasons, and could never take one over any other! Summer is definitely in the top four! Sun, vacations, gardens, and early morning and late evening sunlight – nice long days. So much to love about summer! Dianne, It’s good to hear from another who sat in “my spot.” Summer is in your top four, very funny! Fall is my absolute favorite hands down. I wouldn’t say I’ve found my new normal, just bits and pieces…for now I’ll take those. Thanks so much for the compliment and for sharing your thoughts, Dianne. Yes, I did see the movie, “The Hunger Games” and loved it, so I went and bought the trilogy. It is a fast, mesmerizing read, and the movie is a lot like the book, almost exact in fact. My winter is like your spring. Lots of cancer things for me in winter. Amazing how cancer can affect how we view the seasons. Have a wonderful Fourth, too. Beth, Good to hear your opinion on the book trilogy. I enjoyed the movie too. Yes, cancer has a way of weaseling into our lives and disrupting things, even influencing what seasons we like or don’t like. Thanks for checking back in! Hope you and daughter enjoy the holiday. The Emperor of All Maladies is a great book. I have been slowly reading it for months. I read a few chapters and put it down for a few weeks, then read some more. Caroline, I’ve been slowly making my way through it too. I find I have to be in a certain frame of mind to read it. I guess that might be true with any book though, right? I find it to be quite fascinating. I hope the author writes more cancer related books. Thanks for adding your comments! I loved this Nancy. Your comment: ‘Things that are supposed to be happening are.’ That really resonates for me and also the sense of seasonal change that I love here in the UK too (even though we’re having way too much rain for ‘our’ summer). The back seat of the car made me smile too – my younger sister had the middle position with the funny hump, me and my brother got the window seats. Certainly no DVD player for us either! Being Sarah, It’s nice when you suddenly realize things that should be happening are. I’m happy that resonated for you too. Lucky you getting the enviable window seat when your family traveled! That’s so funny how others relate to the seating assignment thing. And yes, the seasonal change is lovely. I would miss that if I lived somewhere without it. Thanks for your good wishes. I wouldn’t say things are “normal,” but they’re a step in the right direction. Renn, Well, it’s not perfectly normal, but it’s definitely a step in the right direction. Thanks for stopping by. I am reading this with envy Nancy, as we in Ireland are experiencing our third wash out summer in a row, with incessant rain. We have forgotten what a real summer is like! Marie, I hope your summer isn’t a complete “wash out.” Thank you for reading and for the inclusion in your round-up, too, Marie. I really appreciate your support. I love this post. Bittersweet in so many ways. I swear Ireland didn’t get as much of a soaking when I was growing up or as it does every time I visit!! Yvonne, I don’t remember that particular song or Coke commercial, but thanks for an interesting observation! Nancy, what’s not to love about this post? It brings back all those family memories, when we didn’t realize we were experiencing a “normal” childhood and adulthood. Now we take nothing for granted. Both my chemo episodes seven years apart were in the summer. So my favorite season is not summer. I think I like spring the best, the promise of new life. When I was young my grandparents and parents took us kids (brother and cousins) to a local park on Lake Ontario for picnics and swimming. What good times we had! I miss all that. I have been told to expect to settle into a “new normal.” I have yet to find it because the “normal” keeps changing on me outside of my control. I’m hoping the normal will mean no chest pain and a new single life filled with promise and adventure. But only time will tell. The show of life must go on. Jan, I hope your normal now means no chest pain and a new single life full of promise and adventure too. It’s totally understandable why summer is not your favorite season either. Two summers of chemo sounds horrible. Thanks for reading and sharing, Jan, and for your kind words as well. Nancy, I’m about half way through that book. It’s a very good read. Enjoy your summer. Son No 3 is just back from some surgery in June in Minnesota. I must ask him, he who hates hot weather, how he found it. He was back there for a check-up last week, when ye were having the really hot weather. Lily, Thank you for sharing your opinion of the book. It is a good read for sure. I hope your son is doing alright now and yes, it was terribly hot last week so he probably did not care for that. Thanks so much for your comment. Warm greetings Nancy. Normal, ordinary, run-of-the-mill, mundanem, WHATEVER! Enjoy it all. Elevate the ordinary to the extraordinary each and every day. Each is a gift to be savored. Happy Summer and mazel tov on your daughter’s wedding! TC, I do plan to enjoy the ordinary and even mundane things! 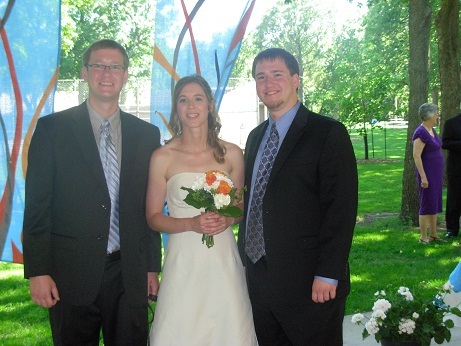 Happy summer to you, too, and thanks for the good wishes on the wedding! Are the Long-Term Risks of Chemotherapy & Other Cancer Treatments Under-discussed?